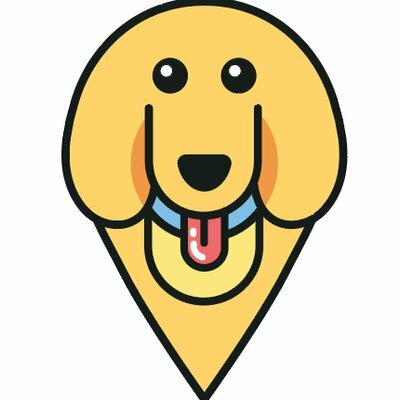 5 Places to Find the BEST Halloween Costume for your Dog – furevery – A powerful new app furevery dog parent, furevery dog and furevery dog business. We connect hands with paws. Dogtober is here, which means it’s time to talk costumes for that four-legged family member of yours! We will be announcing the rules of our doggie costume contest on Monday, so the time is now to get those creative juices flowing! We will be judging based on creativity (and cuteness of course), so don your pooch in the cutest and most creative costume for the best chance of winning some wicked prizes! To help ensure your furbaby has the highest chance of winning, we’re listing 5 of the best places to get doggie costumes from. Many websites guarantee a before Halloween delivery, but to be safe we would encourage you to order sooner rather than later to avoid disappointment! Even if you aren’t ordering online, selection is limited in stores so… START THE CAR! Let’s be honest; what doesn’t Amazon have? It’s no surprise that Amazon is our favourite go-to for dog costumes. It seems that Amazon.com has more options but Amazon.ca has some pretty cute finds too! Be sure to check the shipping time if you don’t want to pay for express or consider an Amazon Prime account for free shipping. PetSmart is convenient because you can order online or head into your local PetSmart to see the costumes in person. They are dog friendly, of course, so take your pooch with you to try on some costumes for fit and style! Party City probably isn’t the first place you would think of for doggie costumes, but if you search dog costumes on partycity.ca the search results return 102 options! That is a huge selection. Party City often runs promos too so keep an eye out for their promo codes to save some moola! If you’re anything like us, you were heartbroken to hear that Target was shutting down in Canada. Good news though, Target still ships to Canada and they include the shipping AND international duty fees in your total payment at checkout, meaning you aren’t slammed with unexpected duty fees at time of delivery! Bless! So add Target.com to your list of options. Like any creative Halloween costumes, the homemade ones offer that uniqueness that you just can’t buy in stores! We love a good homemade costume. Some of the best dog costumes happen to be human or kid costumes, so think outside the box and get creative! Did we miss any of your favourite places to find creative dog costumes? We can’t wait to see all the cute little doggos rocking the cutest little costumes!